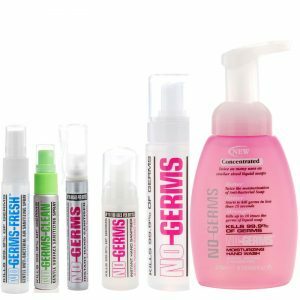 All the essentials you’ll need to stay germ-free. 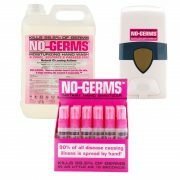 1 x 210 ml hand sanitizer – ideal to keep in your car or office desk. 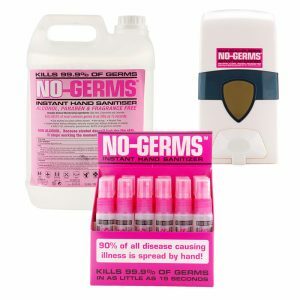 1 x 25 ml portable hand sanitizer – fits perfectly to your jacket pocket. 1 x 25 ml surface sanitizer – spray on door handles, phones, desks etc.